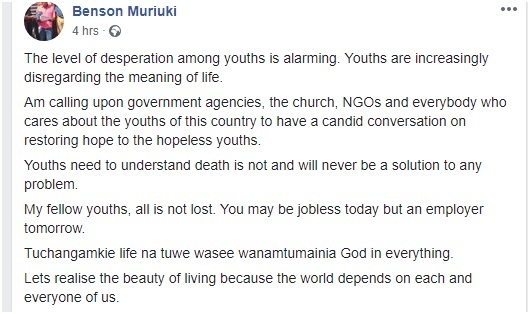 Wednesday, February 6, 2019-The number of suicide cases among Kenyan youths have been on the rise and the situation is alarming. 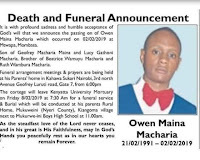 Hardly a day passes before you hear a case where a young man has ended his life due to frustrations. 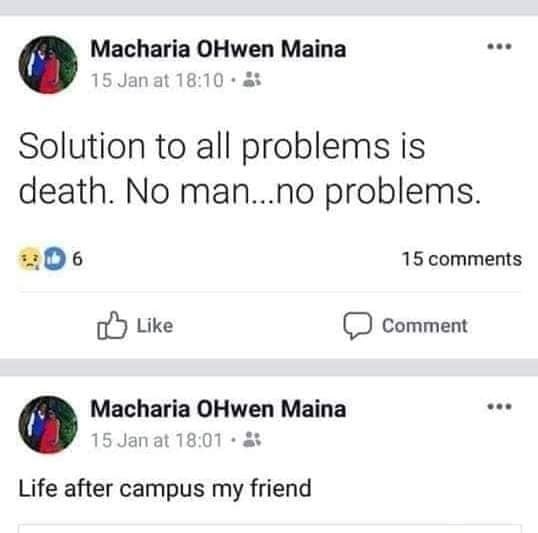 This young man identified Owen Macharia committed suicide after he graduated from campus and tarmacked for years without finding a job. 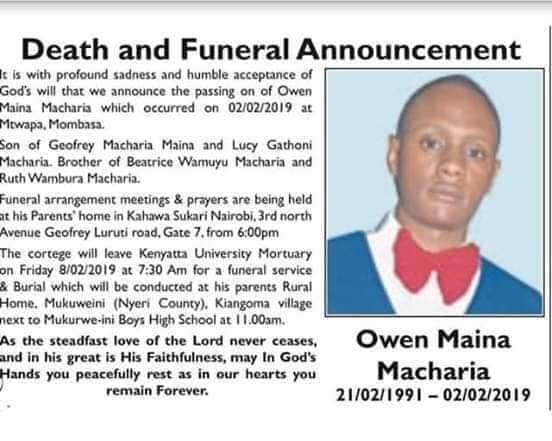 It’s so disheartening to lose such a young soul. He is a 1991 born kid.